On a recent trip to London's Royal Albert Hall for work, I decided to get off the tube a stop early and continue my journey on foot as it was a beautifully crisp winter day and a walk through Kensington Gardens seemed much more appealing than sitting on the underground! I didn't expect to see any art in the park and was really surprised to come across some interesting sculptures by Anish Kapoor. After walking past Sky Mirror and not being entirely sure what it was, I came across this piece (above), a giant, mirrored curve entitled C-Curve. The piece forces visitors to the park to reassess their relationship with the space around them as it projects an image of an upside down world from one side and a distorted "normal" world from the other. 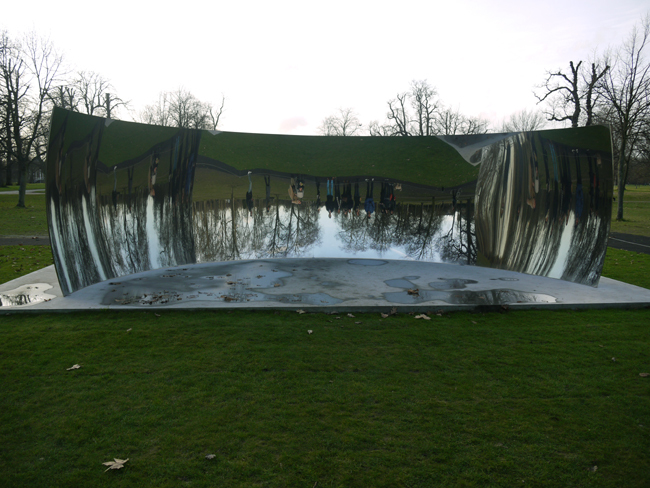 It plays with light and reflection in a beautifully subtle way and I loved walking around it, viewing Kensington Gardens in a whole new light! 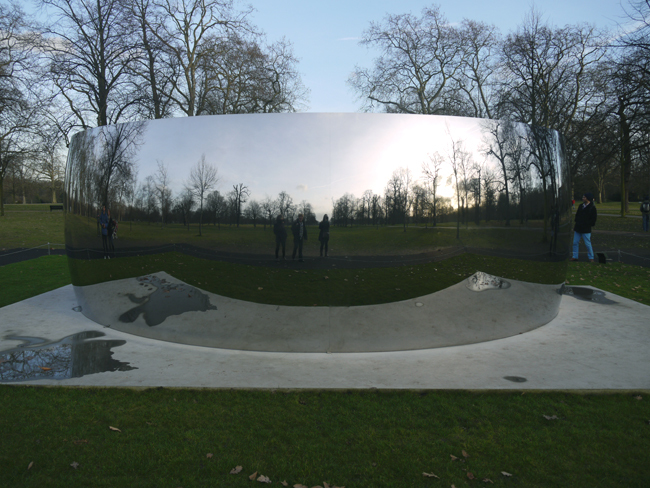 This and other sculptures by Anish Kapoor are on display in Kensington Gardens until mid March, so if you are nearby between now and then the "Turning The World Upside Down" exhibits are well worth a look.